Marketing a doctor’s office can take on many forms. Almost everyone starts by creating a website. Then you have print marketing, public relations, video marketing, social media, online reputation management and various forms of advertising. Regardless of the specific type of marketing, they all have the same goal: to convince someone to contact the office or, in simpler terms, to bring in a patient. In this article, I'll outline ways to optimize your front desk to increase practice revenue. A potential patient’s contact with your office can be made in various ways, but usually comes in the form of a phone call. It is how this phone call is handled that will convert this potential patient into a patient. If the ball drops when the phone is answered, then why spend money for a well-optimized website? Especially when today’s patients often call more than one practice before making an appointment. This is why I feel that practice management is a very important aspect for every marketing strategy. Practice management comes in many forms. First, as mentioned above, are phone skills. Then you have customer service training and waiting room marketing to ensure the patient has a good experience in the office. Often, practice management is one of the most difficult areas to tackle because you rely primarily on your front office staff. Normally these employees are paid a nominal wage, varying from $9-$20 an hour. The front desk is also a highly demanding position. In most offices, they are responsible for checking in and out patients, answering the phones, preparing charts, making appointment reminder calls, collecting payments, coordinating insurance/billing information and various other administrative tasks. Because the front desk is so immersed in the day-to-day activities of the practice, it is highly likely they do not have any idea what the overarching financial goals of the practice are. Although they may see the gross income brought into the practice on a daily basis, they are often not privy to information regarding payroll and other expenses. Ultimately, the front desk personnel is almost always in need of some extra training and incentives to help make sure they are able to see the bigger picture, and ultimately, to help ensure new patient leads are handled in the best possible way. Yes, this may lead them to ask for a raise or a bonus based on productivity, but the front office is so important, they MUST be made to feel as important as any other employee including the physician. How were my questions answered? Did they give details on doctor credentials and why I should come in and see them? Did they ask if I wanted to come in for a consultation? Did they share anything unique to connect with me and make the call more personal? Was I asked how I heard about the office? What did I like overall? What didn’t I like overall? Based on this call, would I have booked an appointment? Once you have at least five calls documented, hold a meeting with your front desk staff to review the findings. At this time, it is a great idea to do some secret shopper calls as a group to some of your competition’s offices. It is often very enlightening, not to mention a fun group activity, to really emphasize the issues and goals. I suggest continuing secret shopper calls on an ongoing basis to always keep the staff on their toes, as we as to track trends and overall success. Then, move to phone training. Be friendly, be happy—oftentimes actually smiling while you are on a call is a great trick. Give credentials on the doctor (make a cheat sheet for staff so they remember the most important points). Provide your own personal experience. Establish rapport with the caller. Give the caller your full attention—listen! 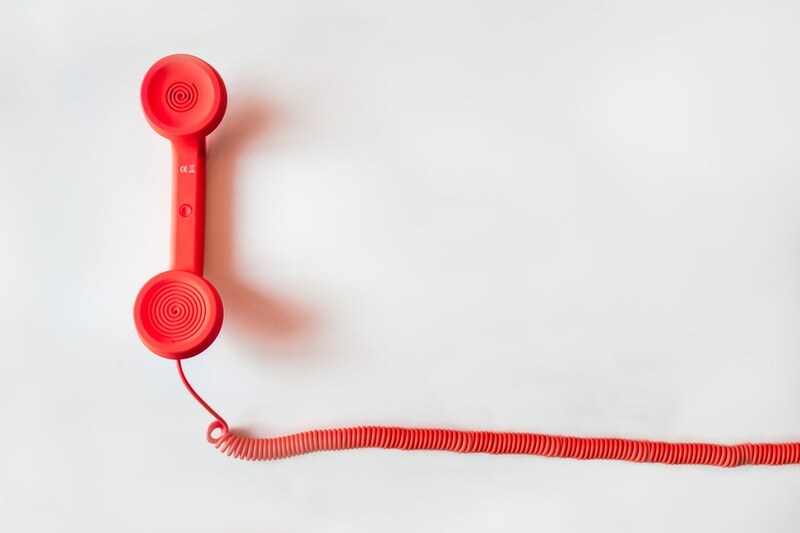 Ask for the caller’s name and try to use it back three times during the call (everyone subconsciously likes to hear their own name and it makes the entire call sound more personal). Track the referral source in your practice management software, as well as the patient’s name/phone/email so you can follow up on the lead at a later date. Don’t forget to ask if they want to schedule an appointment. Phone training should be done whenever someone new joins the practice and then should be repeated at least quarterly for every staff member. More advanced phone skills can be offered once the basics are understood and 100 percent in use. Customer service training should focus on the way patients are greeted and treated while in the office. A standard greeting should be established, as well as protocol for how to handle patients with a long wait time, how to handle unhappy patients at check out, how to upsell products (if applicable for your practice), etc. You should also designate a staff member to walk through your waiting room at set intervals to make sure it is kept clean, appropriate reading materials are out and to remind patients they have not been forgotten about. A standard checkout procedure should be established, at which time the staff can try and upsell retail products and book a patient’s next appointment to help increase patient retention. Oftentimes, the best way to really get your staff on board is to offer incentives. Ideally, you can start staff members off with a pay rate on the lower end, leaving room for financial incentives to subsidize their take home pay. There are a variety of types of incentive programs, and in my opinion, incentives should be distributed on a quarterly basis if not more often. First step is to establish a baseline and a goal. Then if the goal is reached, a bonus is distributed. Bonuses can be given evenly among your entire staff, only for the front desk staff, only for the people who answer the phones, or even specific to individuals. Ultimately, there are thousands of marketing tools and strategies available, but you need to get your front desk on board to ensure the ROI (return on investment) is as high as possible. While much of this relies on the phone skills of the staff, overall customer service which ensures patients have a positive experience in the office is also important. Staff incentivization plans are one the most constructive tools to ensure the staff is on board with your overall marketing strategy. For more practice management success strategies and tips, look to the Practice Management educational track at the 2017 Annual Scientific Meeting, coming up Feb. 9-11 in San Diego. Article originally appeared in the Winter 2014 issue of Surge.